The signature styledesigned by Salvatore Ferragamo's eldest daughtergets a lift. 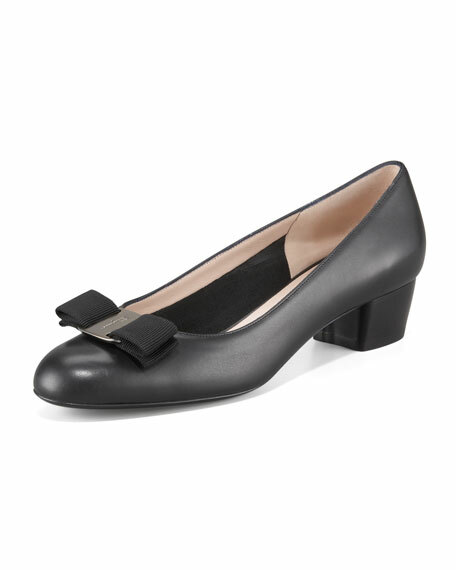 Napa leather pump sports iconic Vara bow at round toe. 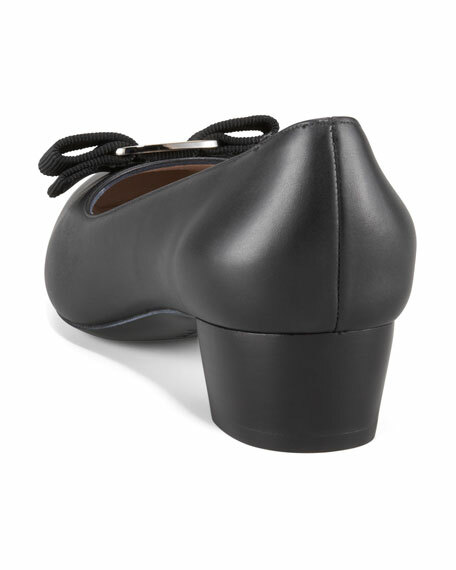 1 1/4" heel provides comfortable lift. Finished with cream leather lining. For in-store inquiries, use sku #243006.